When the toys are overtaking the home...there just has to be another way to do Christmas. AND it seems like this year a lot of people are looking to declutter and have less, but more intentional toys. We know our kiddos love getting things in the mail. So what better way to gift them, than with subscription boxes that come in the mail and are more purposeful in play or learning! Here is your one stop shop for the best subscription boxes for kids this Christmas ! This box is for the little fashionistas in your life. Or for the moms who loathe shopping and have daughters who are all about being in style every season. Kidpik offers a uniquely designed, limited edition, outfit driven fashion collection of premium apparel, shoes and accessories for girls ages 3-14. You fill out the style quiz and they send unique looks they think your girl will fall in love with. Each box delivers 8 high quality items including 5 pieces of apparel + shoes + an accessory + a free gift! You can also send a box as a one time gift. Definitely the mini me's version of Stitch Fix. This is one of my fav box subscriptions. It offers boxes or "crates" for both of my kids that are appropriate for each of their ages that makes STEAM learning fun. There is a box for ages 24 months all the way to 16 years old. Here's what Kiwi Co. has to say, "We inspire kids to see themselves as makers—engineering and creating their own innovative designs and outcomes. Our core offering is a monthly subscription which has delivered millions of hands-on projects. These fun and enriching STEAM(science, technology, engineering, art, and math) projects are designed to spark creativity, tinkering, and learning.Ultimately, our mission is to provide the next generation of innovators with the tools and a foundation to become creative problem-solvers and critical thinkers." Use Code SHARE30 to get 30% off any of the Kiwi co. crates on your first box! As seen on Shark Tank, Surprise ride designs activity kits and toys aimed at keeping elementary school aged kids entertained away from screens. Every month, you’ll receive a shipment that includes all project supplies, a book, a snack, fun extras, and easy-to-follow instructions. 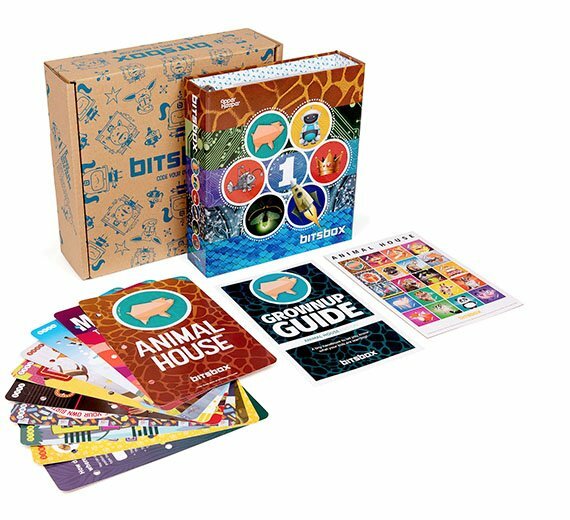 Surprise Ride works with experts to create monthly learning kits that are designed to TEACH KIDS REAL STUFF, IN THE REAL WORLD for ages 5 and up.. When you sign up for they newsletter you can get 15% off. This wonderful sensory box is intended for children on the autism spectrum and/or children with sensory processing issues. Kiddos with emotional disturbance (e.g., hyperactivity, impulsivity, excessive anxiety, temper tantrums, poor coping skills) can also benefit from the items in this box. These boxes we made with 5-9 year olds in mind, however, many of the items in Sensory TheraPLAY Box are appropriate for children of ALL ages. Fun sensory play often has no age limitations! Cooking kits for your little chef in the making! With our monthly hands-on kits, kids get to build their own cookbooks, try new foods, and learn all about where food comes from. They also will gain important life skills in the kitchen—and cook up some fun family memories! Kidstir’s mission is to educate, engage, and empower kids about good food and cooking . This one can be enjoyed by kids 4-12. Attention all parents with kiddos that love to code! This is seriously your jam. And guess what?! Parents you do NOT need to know how to code for your kiddos to enjoy this box. This is perfect for kids 6-12 and includes FREE separate coding accounts for siblings (thank goodness am I right?!). Groovy Lab in a Box was made to encourage children to channel their inner STEMist. Our purpose is to provide children with an opportunity to focus his or her imagination, determination, and innately inquisitive nature with a way to complete a monthly STEM project using the Engineering Design Process. As mothers we have a huge desire to start the learning early before we send our kiddos off to school in a few years. But between all of the things we want to get done in a day, spending hours on Pinterest to find the right printable and then buying supplies for just ONE lesson...we.just.can't. And that is where M is for Monster steps in. M is for Monster has themed weekly learning activities with all the supplies included for you and delivers them right to your door! No more planning and shopping and spending too much money on extra supplies! OwlCrate Jr. the leading book subscription box! Each month your young reader will receive a magical delivery featuring a brand new middle grade novel, exclusive goodies from the author, and 3-5 unique and usable items built around that month’s theme that encourage curiosity, creativity, and imagination! This box is perfect for your bookworms ages 8-12. *They also have OwlCrate for young adult readers for pre-teens/teens! This is a book box for the littlest of your bookworms. They deliver hand-wrapped, curated books to your door each month! Their Board Book Box is perfect for ages 0-2, their Picture Book Box is great for ages 3+, and their Mixed Book Box is the best option for families who are looking for books at different reading levels. Lillypost will donate one new book for every single box shipped to a charity focused on advancing children’s literacy. To date, they have donated over $61,000 worth in books! Ann Williams’ Monthly Craft Box is the coolest craft club where you get the surprise of your crafting life every month! They offer four different age ranges to suit (almost) everyone: 6 to 8 year olds, 9 to 12 year olds, teens, and adults. Each month they'll send something picked especially for each age range right to you! Get Creative Craft Kits Delivered Monthly! Great Gift for Kids, Teens, Adults. 50% Off Your First Box With Code "CRAFT50"
Little Passports creates award-winning subscriptions for kids that inspire them to learn about the world. This is for explorers ages 3-13. Sign up for a Little Passports 3 or 6 month subscription (USA, World, or Early Explorers Edition) at $13.95/month! There you have it my friends! I spent hours looking and researching the best that's out there. I hope you can find the right gift for your special loves this Christmas!